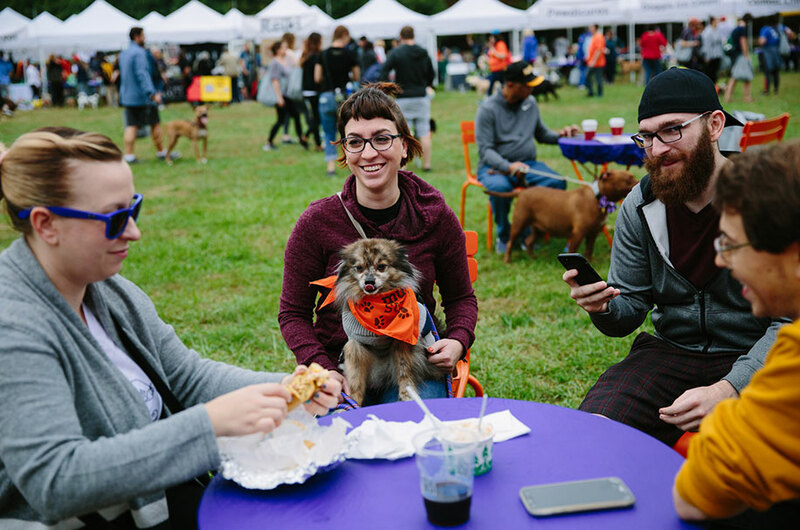 Thank you to everyone who joined us for an amazing Mutt Strut on Saturday, October 6! 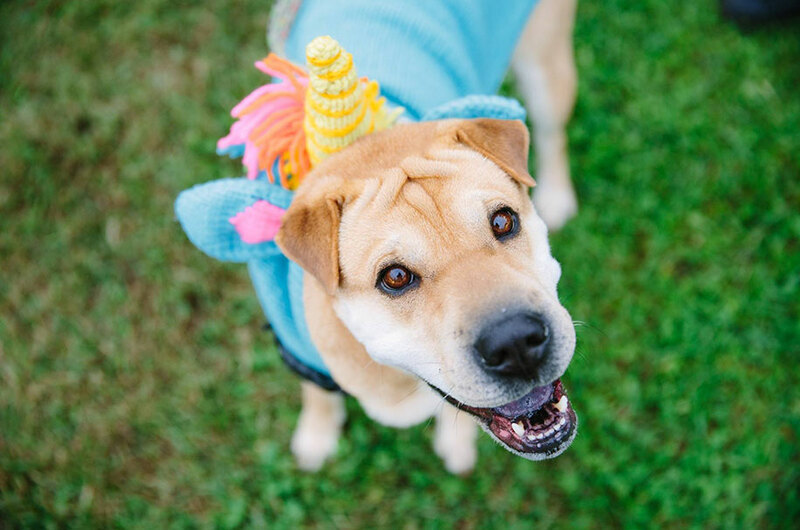 We are thrilled to announce that together, we raised $102,000 for homeless animals! Proceeds will fund PAWS’ lifesaving efforts and enable us to rescue and serve more of Philadelphia’s neediest pets. Thank you to the attendees, sponsors, volunteers, vendors, teams, and fundraisers who contributed to this incredible day! Minibooths photos from the Mutt Strut can be viewed here. 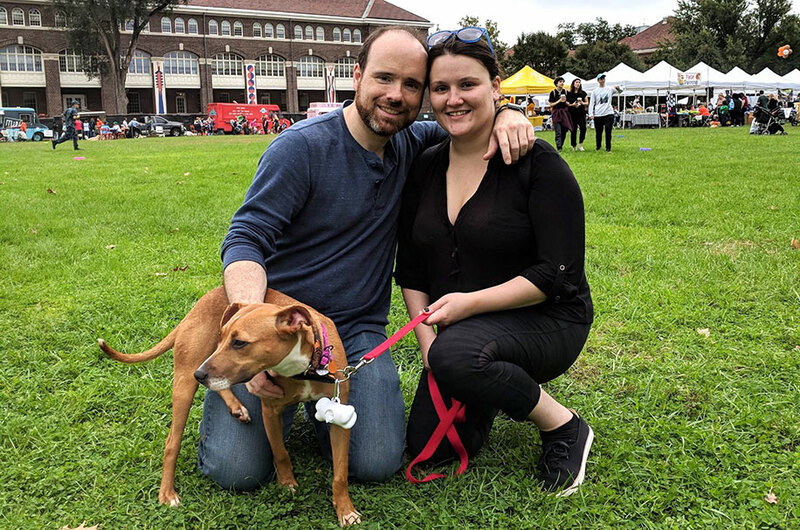 Four PAWS dogs were adopted at the Mutt Strut, including Chip (pictured below with his new family). Lots of additional applications were received, resulting in more dogs leaving the shelter in the days to follow! 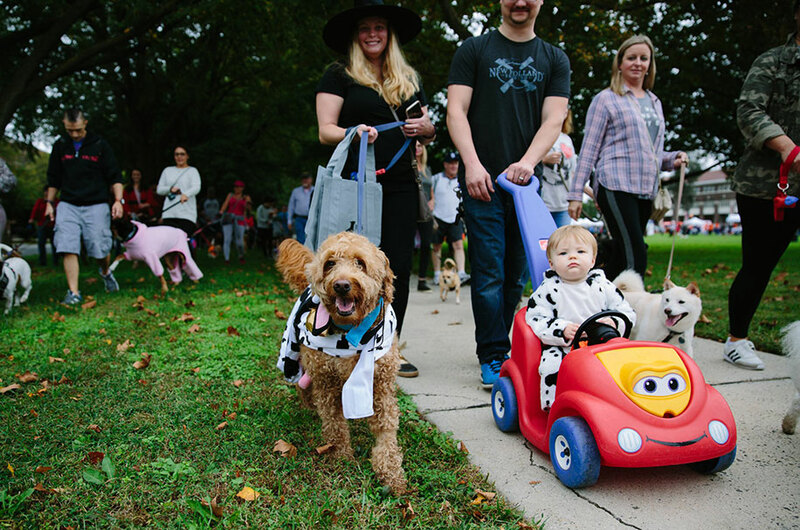 Hundreds of animal lovers joined us for a scenic walk in The Navy Yard, kicked off by the Mummers! Mutt Strutters enjoyed dozens of vendors and activities, including an expanded dog agility course and “Ask the Trainer” with Opportunity Barks, flyball demonstration, costume and talent contests, “Ask the Vet” with VSEC Vet, delicious food, pet photos with Minibooths, paw print painting, raffle, and more. Special thanks to our emcees Kristen Kermann and Matt Cord from BEN FM, and Steve Morrison of WMMR. The costume contest is always a crowd favorite! One of our winners, the Harris family (pictured), has been coming to the Mutt Strut for the better part of a decade. 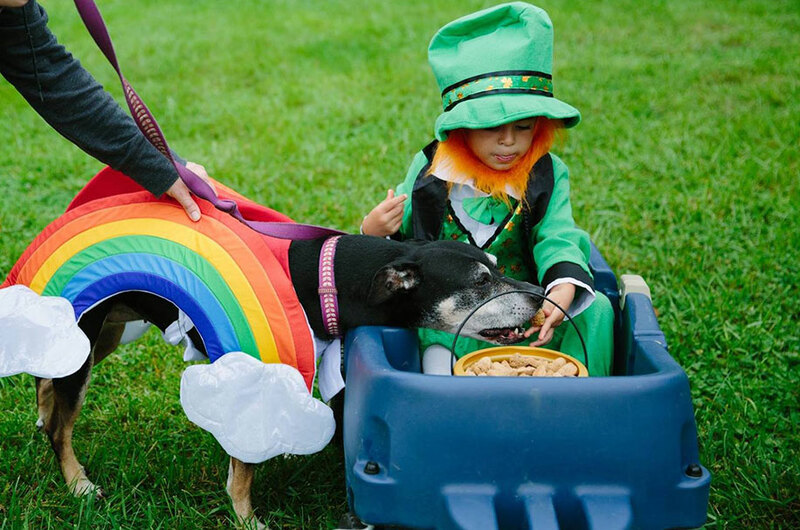 Proceeds from the Mutt Strut will enable us to rescue and care for thousands of homeless pets in the coming year. We were so proud to be surrounded by the people who make our work possible, and we are deeply grateful for our community of caring and generous partners. 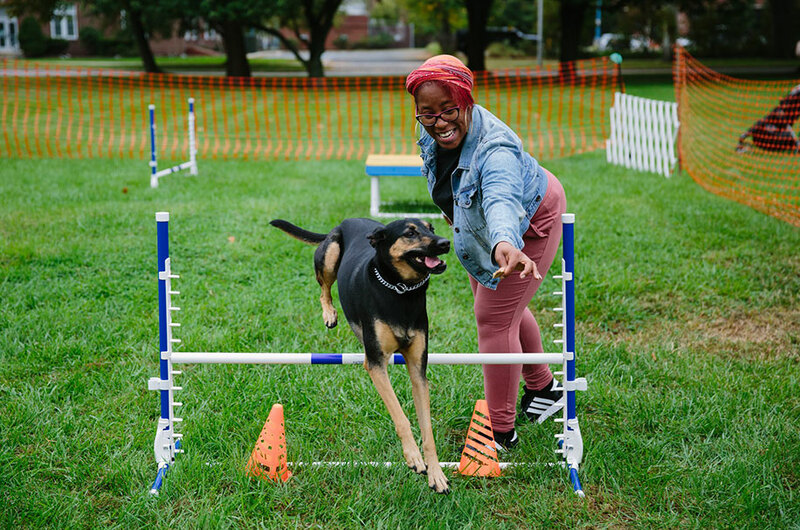 See you in October 2019 for the 13th Annual PAWS Mutt Strut – details to come!